Transatlantic Trade and Investment Partnership – TTIP – Cui Bono? Who does the TTIP really benefit? One of the most important elements of Austrian scientist and philosopher Rudolf Steiner’s legacy is the understanding of the reality of evil – of an active force of evil in the world. And since, as he stated, in the final analysis there is nothing in the world except beings in various states of consciousness, evil is ‘incorporated’ (even if there are normally no visible bodies) in real evil beings, whose purpose is to thwart genuine human evolution i.e. spiritual evolution. 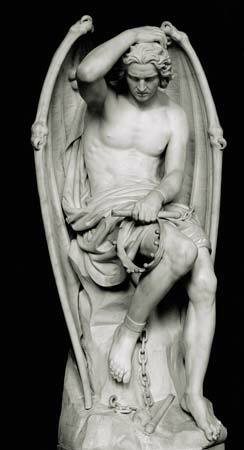 Traditional Christianity, and also other religious streams, was familiar with the being named Lucifer – the archetypal “fallen angel”, cast out of heaven with his followers for their rebellion. But Steiner emphasized the importance of the understanding that the attack on the human being comes from two different, but complementary, directions – as it were, from above and from below: one force seeking to draw humans away from the earth into a realm of pure spirit (thus effectively aborting their crucial mission here on earth); the other seeking to bind humans so strongly to the earth and to ‘matter’ that they entirely forget their spiritual destiny. Rudolf Steiner also pointed to another important way in which the work of these two beings affects human consciousness and behaviour – and thus history. Lucifer invites us to forget the present task and lose ourselves in dreams of a perfect future, while Ahriman seeks to bind humans to the past, to prevent them from moving on in consciousness and thus in their social, political and economic forms. Under Lucifer’s influence we dream of the “new Jerusalem”, the city on a hill; we allow ourselves to be fooled by the promises of politicians for more and more prosperous, happier lives (the Obama “hope” campaign, the illusion that all the problems will be solved by a new government etc.). Even more radically, there are those who look forward to “the Rapture”, or to transhumanism’s ‘post-human’ world in which artificial intelligence will have made humans redundant. There is a kind of “Pied Piper” feel to much of this – a willingness to be led to some imagined utopia, a desire to leave all the struggle and toil of human existence behind. But it is not just about some imagined ideal future. Lucifer’s tactics are fundamental to modern consumerism and advertising and to the historical shift from a needs-based economy to a desire-based one, as Adam Curtis showed in his documentary “The Century of the Self”. A striking recent example of the way modern advertising is more about selling the image rather than the product is an ad for a new model of Jaguar car that appeared recently in the aggressively pro-capitalist “Economist” magazine (and presumably elsewhere). The large-font text heading reads: SO ALIVE, SO CORRUPTING. The sales pitch below reads: “Once you have power, it’s hard to let go”. The whole ad, including its byline – GOODTOBEBAD.CO.UK – is a blatant appeal to egotism and a conscious play on Lord Acton’s famous dictum: “Power corrupts; absolute power corrupts absolutely”. As is well known, the preamble to the American constitution asserts “the pursuit of happiness” as a right – understood not in the religious terms of peace of soul and spirit, but predominantly in terms of material comfort and security. Rudolf Steiner remarked on one occasion that it was fine for people to come to anthroposophy to “better themselves” spiritually – as long as they understood that this was to be in the service of humanity as a whole. He emphasized that there is no individual salvation – and no right to be ‘happy’ while others are homeless and starving. Human relationships must be characterised by selflessness and empathy. Ahriman seeks to thwart evolution by persuading people to hold onto past forms, beliefs and rituals which have become empty and meaningless. Britain is full of such out-of-date forms, from the monarchy itself to the absurd rituals of parliament and of the whole system of pseudo-democracy. Rudolf Steiner spoke of the strange practice (in post-Enlightenment Europe) of forcing pupils to learn Latin and Greek, suggesting to his audience that a Greek father from the classical period would have found it absurd if someone had proposed that his children should learn ancient Persian or Assyrian. Steiner frequently pointed out that in many respects ‘modern‘ Europe still preserved elements of Romanism – and that this was holding it back. Between 9 January and 22 February 1920, Rudolf Steiner gave a series of eighteen lectures in Dornach to members of the Anthroposophical Society, under the general title of “Spiritual and Social Changes in the Evolution of Humanity) (GA 196). A group of members had come from Britain and Steiner addressed the final three lectures (20, 21 and 22 February) especially to them. His theme was “the historical evolution of imperialism” and Steiner ended the third lecture with the words: “That, my dear friends, was something of what I wanted to tell you today … first of all for all of you, but especially for those whose visit has been such a pleasure for us … what I wanted to say especially to our English friends, so that when they return home – there, where it will be so important – they will be able to act out of a certain understanding”. Five days before the first of the ‘imperialism’ lectures, on 15 February, Steiner had outlined the different characteristics and historical missions (from a spiritual-scientific point of view) of the French, German and Anglo-American peoples; he said that it was important to understand the ‘juridical-governmental‘ character of the French; that the Germans were ‘predestined‘ to develop an understanding of the spiritual; whereas the Anglo-American people were particularly focused on economic affairs. The issue was important for Britain precisely in view of the rising economic power of the West, led by the US and UK – against which had to be set the spiritual understanding of Christ’s statement: “My kingdom is not of this world”. “Imperialism is a widely discussed phenomenon in recent times and it is discussed in such a way that there is, in those who deal with it, a more or less clear awareness of its link to all the social phenomena of the present. But when one discusses such things today, no account is taken – at least not sufficiently – of the fact that we are living in a quite specific period of historical development and that one can only understand this phase of development of humanity if one knows where the phenomena come from that surround us, the circumstances within which we live. Over the course of the three lectures, Rudolf Steiner spoke about the evolution of power through three forms of imperialism. First there was ancient oriental imperialism, in which there was no distinction between earthly and spiritual realities.The ruler was seen as god, as the physically incarnated heavenly son or father, with the paladins as lesser deities. Then the second form evolved, in which rulers and higher officials were seen as emissaries of god, imbued with divine qualities. The church hierarchies mirrored the heavenly ones. Everything is seen as a symbol, or token. This second form of imperialism then split into separate but interlinked religious and secular forms: the Roman church, with its Pope, and the Holy Roman Empire with its Kaiser. Elements of the first form of imperialism can be seen in the Catholic Church (in the Papal Encyclical, for example), in the way that Islam spread, and in the despotism of Russian tsarism. The third form of imperialism is Anglo-American economic imperialism. Steiner notes that although it was not formulated as such until the 20th century, its origins actually lie in the social and political upheavals which began in the second half of the 17th century in England, when parliamentarianism replaced the power of the monarch, now merely tolerated (and latterly treated largely as a tourist attraction). A remnant of that former continues in the form of the so-called “Royal Prerogatives”: a series of historic powers formally exercised by the monarch acting alone, but which in reality are exercised by government ministers. They enable government ministers to rule virtually by decree, without the backing of or consultation with Parliament, in many areas not covered by statute. The use of the adjective “royal” here is a classic example of the untruthfulness which Rudolf Steiner defined as the characteristic of our age. Even the symbol has become devoid of meaning; what is left is empty, essentially mendacious, rhetoric – but one on which a colonial economic empire could be built up under the guise of bringing “civilisation” to the benighted (and pseudo-democracy to all). As Steiner noted, “Since the 17th century what has been “the will of the people” in the public life of the Anglo-American peoples …is no more than empty rhetoric. Between what is said and reality there is not even the relation which existed between the symbol and reality. Thus the psychological path is this: from realities to symbols and then to empty rhetoric – to language that is squeezed out, hollow. And the true realities are what goes on behind this”. “At the time, the British Empire consisted of many colonies, some of which were largely self-governing dominions (Canada, Newfoundland, Australia, New Zealand, South Africa) and others not (India, West Indies, Fiji). The future of the empire remained uncertain, as it was unclear what the end result would be if all colonies eventually became self-governing. Among other concerns, it would be very difficult for British interests to be maintained if every colony was essentially already sovereign. Creating an Imperial Federation thus became a popular alternative proposal to colonial imperialism. The plan was never firm, but the general proposal was to create a single federal state among all colonies of the British Empire. The federation would have a common parliament and would be governed as a superstate. Thus, Imperial unity could be maintained while still allowing for democratic government [rather: while still paying lip service to pseudo-democracy]. Supporters of Imperial Federation regarded the United Kingdom as having two possible futures; imperial union and continued long-term importance or imperial dissolution and the reduction of the status of the UK to a second-class nation”. The idea of the Federation did not survive WWI and by 1937 had been formally dropped by the British political elite. At its height, the British Empire was the largest empire in history, controlling one quarter of the landmass of the planet and around one-fifth of its population. A major factor in its early growth was the global trading empire created by the East India Company. And although it took a long time, during which Britain fought to hold onto its empire, the sun did finally set on this remarkable empire. By the end of WWII Britain was financially bankrupt, forced to borrow $2 billion from the US and $1.19 billion from Canada (at a 2% annual rate of interest). In terms of world power and influence, the baton had clearly passed to the USA, but although Britain did lose its colonial empire, it never became the ‘second-class nation‘ (at least in economic terms) feared by the supporters of the Imperial Federation. As one of the ‘victors‘ in WWII, it had a seat on the Security Council and after briefly flirting with socialism it quickly re-aligned itself with American foreign policy, a stance it has retained to this day. After losing much of its manufacturing industry, Britain was able to rely on its older banking and finance interests and, as with the US and other countries, its armaments industry profited from the Cold War and, more recently, from the rise of a new form of US-led colonialism and imperialism which has used armed intervention, overt and covert subversion, regime change and globalisation to secure the resources this new hidden empire requires (and to which it appears to believe it has a god-given right). Empires and arms industries need enemies, real or invented, so the gap left by the ending of the Cold War had to be rapidly filled by the supposed threat from a resurgent fundamentalist Islam, helped by a string of state-sponsored false flag “terrorist” incidents that were used to justify the ‘never-ending war against terrorism’. Though the lesson of history is clearly that empires come and go, there are still those who dream of endless empire. As the Jaguar ad states: ‘Once you have power it’s hard to let go’. Hitler dreamed of a thousand-year Reich. More modestly, perhaps, but just as insanely, the signatories to the Project for a New American Century (PNAC) argued for “full-spectrum dominance” (effective control over land, sea, air and space) for at least the next hundred years. One might imagine that such plans would be kept secret, but it would appear that there is such hubris among the upper echelons of certain Western administrations that they are quite open about their intentions. In the first of the ‘imperialism’ lectures, Rudolf Steiner had warned that “under the surface, especially in the western countries, the secret societies are most active, trying to insert the second phase of imperialism into the third. For in the Anglo-American people you have two imperialisms pushed together, the economic imperialism of a Chamberlain and the symbolic imperialism of the secret societies, which play a very effective role, but which are kept secret from the people”. So effective have they been, it would seem (in deluding the general population about their aims), that they no longer feel the need for complete secrecy. In 2002, then President George Bush declared: “America has no empire to extend or utopia to establish. We wish for others only what we wish for ourselves – safety from violence, the rewards of liberty, and the hope for a better life.” British historian Niall Ferguson, however, was in no doubt about the matter: “The United States is an empire in every sense but one – and that one sense is that it doesn’t recognise itself as such. It is an empire in denial”. An American commentator refers to his country as the “DGE” – the “disguised global empire”. 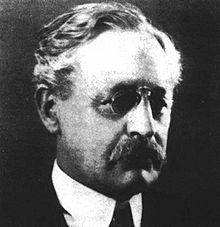 “…Mackinder suggested…a systematic and unrelenting policy of harassment against Eurasia, which was to be carried out by grafting land bridges onto the vital nodes of the heartland [i.e. Central Asia]….These “platforms” were to be viewed as launching pads – land-bridges, for more or less durable incursions against the natives [of Eurasia] – Such is still the policy of the US, with the full and committed patronage of Britain”. The change in the nature of imperialism means that the controlling power no longer needs to be physically present in significant numbers in those external territories out of which this new kind of empire is formed. America “projects force” globally through its more than 1000 military bases around the world. Through its strategic allies – increasingly brought into the ever-widening net of NATO (now changed beyond recognition) – it exercises both military and commercial control of vast areas of the globe. The US Department of Defense lists nine “Combatant Commands”: U.S. Africa Command – “devoted solely to military relations with Africa. AFRICOM is responsible for military relations with 54 African countries”; U.S. Central Command (CENTCOM): responsible for military relations with 20 countries, from Egypt and the Levant to the Arabian Peninsula and Central and South Asia; U.S. European Command (EURCOM), responsible for military relations with all 51 European countries, including Russia, Turkey and the Caucasus nations; U.S. Northern Command: provides command and control of Depart of Defense homeland defense efforts and coordinates defense support of civil authorities; U.S. Pacific Command: area of responsibility encompasses about half the earth;s surface, stretching from the waters off the west coast of the U.S. to the western border of India and from Antarctica to the North Pole; U.S. Southern Command: responsible for all military activities in South America and Central America; U.S. Special Operations Command: the unified command for the worldwide use of Special Operations elements of the Army, Navy and Air Force; U.S. Strategic Command: responsible for strategic deterrence and preeminent global warfighters in space and cyberspace (what on earth does this imply? ); U.S. Transportation Command: provides, air, land and sea transportation for DoD. And still the USA is not an empire? All this is just for the benevolent protection of the liberty and welfare of the rest of the world? America’s track record of aggressive and subversive acts (essentially in defence of capitalism; much of the 20th century was spent in an obsessive attempt to stifle socialism) belies this. In Rogue State, author William Blum profiles US interventions since the end of the Vietnam war. American governments launched military or subversive actions in the Dominican Republic, Zaire, Laos, Cambodia, Lebanon, Iran, Libya, Grenada, Honduras, Chad, Bolivia, Iraq, Panama, Colombia, Peru, the Philippines, Liberia, Turkey, Kuwait, Somalia, Yugoslavia, the Central African Republic, Congo, Gabon, Sierra Leone, Guinea-Bissau, Kenya, Tanzania, Sudan, Afghanistan, East Timor, Serbia, Yemen, Ivory Coast, Haiti, Pakistan, South Ossetia, Brazil, Ecuador, Indonesia, Uruguay, Ghana, Chile, El Salvador, South Africa, Portugal, Angola, Jamaica, Seychelles, Diego Garcia, Marshall Islands, Albania, Costa Rica, Georgia and other countries. In a new book, authors Andre Vltchek and Noam Chomsky estimate the number of victims of these ‘interventions’ since the end of WWII at 55-60 million dead. 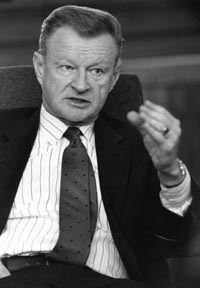 Brzezinski writes here of “consolidation”. The book was published in 1998. NATO had already been in existence for almost 50 years. There were US bases in at least 9 European countries. The structure of the EU was firmly established; it had 15 members and 11 were about to adopt the euro as their common currency. EURCOM, in its earlier designation as USEUCOM, had been in existence since 1952. What other form of “consolidation” could Bzrezinski have been thinking of? Tying the whole of the EU into US-led global capitalism? Although the concept of ‘globalized markets’ seems to date from 1983, globalization as we now know it really took off after the collapse of communism opened up vast new markets, especially in Eastern Europe. GATT – the General Agreement on Tariffs and Trade – had come into effect as early as 1948. Its stated purpose was the “substantial reduction of tariffs and other trade barriers and the elimination of preferences, on a reciprocal and mutually advantageous basis”. It was not universally accepted, but it survived until 1994, being replaced the following year by the World Trade Organisation. But GATT was a multilateral agreement – not a specific US-EU one. NAFTA – the North American Free Trade Agreement between the US, Canada and Mexico – followed seamlessly on from GATT, being signed into existence in 1994. Proposals for a specific US-EU trade agreement initially named TAFTA – the Transatlantic Free Trade Agreement – also date from the early 1990s, but negotiations began only in 2013 for a rebranded Transatlantic Trade and Investment Partnership – TTIP. If approved, the agreement would be the biggest trade deal ever. The US and EU together account for 40% of global GDP. From the start the meetings between negotiators have been held in secret. It was not until the negotiating mandate, agreed by the European Council on 17 June, 2013, was leaked by some German Green MEPs that the public – and even members of parliament in the EU member states – were able to see what TTIP was all about. A copy of the mandate can be accessed here. There is a warning on the first page: “NB: This document contains information classified EU RESTRICTED whose unauthorised disclosure could be disadvantageous to the interests of the European Union or of one or more of its Member States”. The “interests of the European Union” referred to here appear to be those of the institutions only – not of its 500 million citizens. The mandate is a wonderful example of what Rudolf Steiner meant by “empty rhetoric”. The preamble refers to “common principles and values”, including “shared values in such areas as human rights, fundamental freedoms, democracy and the rule of law”. It nominally commits the parties to “sustainable development and the contribution of international trade to sustainable development in its economic, social and environmental dimensions, including … full and productive employment and decent work for all, as well as the protection and preservation of the environment and natural resources”. Glorious window-dressing. If this were true, one would expect representatives of human rights, environmental, labour and other organisations to be at the negotiating table, or at least be able to make formal representations. In fact, between January 2012 and April 2013, wehen the mandate was being worked on, the EU Commission met business lobbyists behind closed doors on 119 occasions; meetings with trade unions and consumer protection organisations occurred only 11 times. The mandate also claims that “the Parties will not encourage trade or foreign direct investment by lowering domestic environmental, labour or occupational health and safety legislation and standards” – but there is cause to doubt the strength of the partners’ commitment to these laudable aims, for very good reasons. The proposals include something called ISDS – “Investor-to State Dispute Settlement” – probably the most contentious part of the agreement. The negotiations “should aim to include … fair and equitable treatment, including a prohibition of unreasonable, arbitrary or discriminatory measures” and “full protection and security of investors and investments”. This would be ensured by the provision of “an effective and state-of-the-art investor-to-state dispute settlement mechanism”. Companies and/or investors who felt that their legitimate right to make a handsome profit on their investment or trading deal had been frustrated or denied the – for example, by a change in government policy – will be able to sue the government in a special court before a panel of three private lawyers, whose decisions cannot be appealed. Pared down to its essentials, the rhetoric means that investors must be freed from the fear of losing money on their speculations, and the expected profits of companies entering into contracts anywhere within the US and EU must be guaranteed. And we thought “free market” capitalism was about taking risks! Fortunately, ISDS is not an unknown quantity. It is already in use in other trade and investment agreements and it has acquired an unenviable track record. An excellent study by the Seattle to Brussels Network entitled “A Transatlantic Corporate Bill of Rights” notes that “US and European companies have driven the investor-state litigation boom of the past two decades. By far the largest number of the 514 known disputes initiated by the end of 2012 were launched by US investors, who filed 24% of all cases. Next in line are investors from the Netherlands (50 cases), the UK (30) and Germany (27). Together, investors from EU member states have filed 40% of all cases. – Philip Morris V. Uruguay and Australia: through bilateral investment treaties, US tobacco giant is suing Uruguay and Australia over their anti-smoking laws. The company argues that warning labels on cigarette packs and plain packaging prevent it from effectively displaying its trademark, causing a substantial loss of market share. – Vattenfall V. Germany: in 2012, Swedish energy giant Vattenfall launched an investor-state lawsuit against Germany, seeking €3.7 billion in compensation for lost profits related to tow of its nuclear power plants. This followed the German government’s decision to phase out nuclear power after the Fukushima nuclear disaster. – Achmea v. the Slovak Republic: at the end of 2012, Dutch insurance company Achmea was awarded €22 million in compensation from Slovakia. In 2006, the Slovak government had reversed the health privatisation policies of the previous administration, requiring health insurers to operate on a not-for-profit basis. – Corporations against Argentina and Greece: when Argentina froze utility rates and devalued its currency in response to its 2011-2002 financial crisis, it was hit by over 40 lawsuits from companies like CMS Energy (USA) and Suez and Vivendi (France). By the end of 2008, awards against the country had totalled $1.15 billion. In May 2013, Slovak and Cypriot investors sued Greece for the 2012 debt swap which Athens had to negotiate with its creditors in order to get bailout money from the EU and the IMF. – Lone Pine v. Canada: on the basis of NAFTA, US company Lone Pine Resources Inc. is demanding $250 million in compensation from Canada. The ‘crime’: the Canadian province of Quebec had put a moratorium on “fracking” in response to concerns about the environmental risks from this technology. Other specific fears are that American companies, including Monsanto, will use ISDS to force EU governments to accept GM products and agriculture, chlorinated chickens and growth hormone-treated beef. Public procurement is another target: “The Agreement will aim at enhanced mutual access to public procurement markets at all administrative levels (national, regional and local), and in the field of public utilities … ensuring treatment no less favourable than that accorded to locally established suppliers”. This would enforce the opening up of many public services to private takeover. Fears that the European Commission’s own policies could lead to the privatisation of all public water companies across Europe led campaigners to launch a European Citizens’ Initiative – a new transnational democratic right included in the Lisbon Treaty. In effect, it is little more than a petition to the European Commission to consider a proposal i.e. it does not in any way force the Commission to act, even when an initiative satisfies the extremely demanding conditions: a minimum of 1 million signatures of support to be collected within 12 months and from a minimum of 7 EU member states. At an estimated cost of 1€ per signature, it is an expensive business for campaigners. Nonetheless, the Right2Water ECI exceeded expectations, collecting an amazing 1,884,790 signatures under the slogan: “Water is a human right”. This put considerable pressure on the Commission, which announced that the provision of water services had been excluded from the Directive on the awarding of concession contracts. However, were TTIP to be adopted, it is likely that this would be merely a temporary reprieve, as public providers could be threatened with punitive damages under ISDS. Monsanto, which earlier announced that it was pulling out of Europe, may also be waiting to use TTIP and ISDS. Nonetheless, people and civil society organisations on both sides of the Atlantic have woken up to the threat from TTIP and have begun to take action to preserve some measure of sanity in international trade. On 15 May, 240 demonstrators were arrested in Brussels next to the European Business Summit venue. Four days later, a letter signed by more than 250 civil society organisations was sent to EU Trade Commissioner Karel de Gucht calling on the Commission to open up the TTIP negotiations to public scrutiny. Director of Friends of the Earth Europe, Magda Stoczkiewicz, said: “These negotiations have the potential to impact upon many aspects of life for citizens here and in the US, from food and chemical safety to the environment. The European Commission cannot remain deaf to civil society calls for transparency – people have the right to know what’s at stake”. On the same day, 650,000 signatures collected online and in the street in Germany against TTIP and for the preservation of democracy were handed to the leading candidates for seats in the new EU Parliament. Backed by more than 240 European organisations, a European Citizens’ Initiative to demand the repeal of the TTIP negotiating mandate was launched in September, but the Commission has rejected it on what appear to be flawed legal grounds. The ECI coordinating committee intends to appeal the decision at the European Court and in any event to continue campaigning against a deal that would only reinforce a predatory capitalism that has come more and more to embody the “bushonomics” of G.H.W. Bush: “The continuous consolidation of wealth and power into ever fewer, ever tighter, and ever righter hands”. “Corporations everywhere may well agree that getting rid of regulations would be good for corporate profits. Trade negotiators might be persuaded that these trade agreements would be good for trade and corporate profits. But there would be some big losers – namely, the rest of us” (Joseph Stiglitz, Nobel prize-winning economist). Two years earlier, in a lecture in Berlin on 30 March 1918, Rudolf Steiner had said that whereas the English folk-soul was “earthy’ and “salty”, the American ‘folk-soul’ was influenced and shaped by “an underground element” – by underground magnetic and electrical currents. Tony Blair infamously threatened to use the “royal prerogative” to allow the UK to join the US in invading Iraq if he could not secure parliamentary approval. Hong Kong was not returned to the Chinese until 1997. In 2013, Britain moved back into fourth place in the global league table of arms exporters, with £2.3 billion of sales. The rebranding may have to do with the fact that “free trade” had come to be synonymous with exploitation, especially of the Third World. The calls for “Fair Trade not Free Trade” produced “fair trade” initiatives in many countries in the early 1990s. 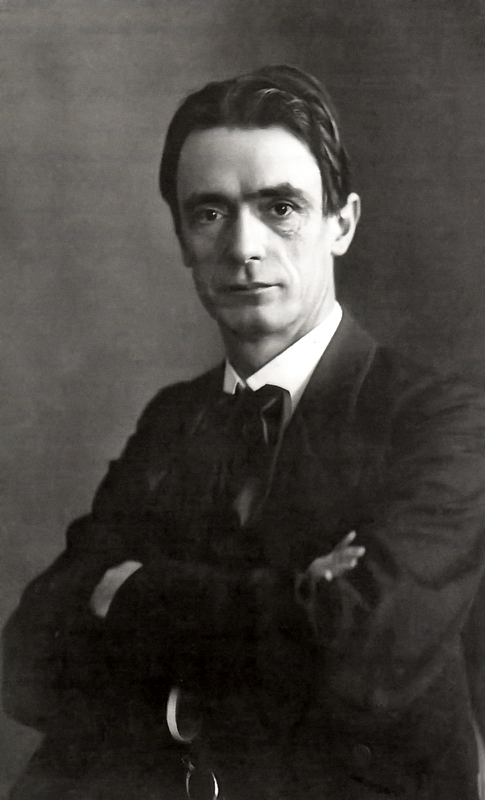 Rudolf Steiner’s idea for a “Threefold Social Order”, developed as early as 1917, argued that all economic activity should be under the rubric of “fraternity” i.e. fairness and solidarity. About Paul Carline: Paul was born in Eccles (from ecclesia) near Manchester, England. He studied modern languages (German, Russian) at Manchester University. He had a rich and diverse working career: civil servant, teacher, shop owner, translator, editor, researcher, writer. He has published some 15-20 articles published in print and online, mainly since 2000, on a wide range of subjects: religion, evolution theory, science, democracy, current affairs. This entry was posted in Theology & Religion, Theory and tagged Brzezinski, imperialism, Mackinder, Rudolf Steiner, Transatlantic Trade and Investment Partnership, TTIP. Bookmark the permalink. 20 Responses to Transatlantic Trade and Investment Partnership – TTIP – Cui Bono? control government and society….Yes Steiner was correct in identifying “untruthfulness”, the Karma of Untruthfulness lectures…. So of course a Bush or an Obama will use platitudinous lies to mock the good principles of the United States as they conduct war, murder, thievery for their hidden masters to who they are beholden. It would be nice to see some indictments, the Federal Reserve shut down and the value of the dollar reflect a Parity understanding for the production of essential wealth as was successful in the 1940’s until the financial oligarchy took control once again and brought back the debt and credit slavery system which rules the roost and utilizes war in order to ensure that the bankrupt western financial system is still in control…..through chaos. I agree and I am about to add a comment you might agree with. Good article, but I take issue with such terms as “capitalism” and “free market”. It is supposed to be about accumulating money and investing it in such tangible assets as factories, but that seldom happened and men like Cadbury and Ford were rare examples of, let’s say, “enlightened capitalism” during the late 19th/early 20th Centuries … such that they would be called “socialists” today. About five years ago I awoke to the fact (I think) that “capitalism” has always been a myth and that financialism/banksters have always been the core problem for thousands of years. Within our species there has always been a psychopathic minority who rise, like scum in a cess pit, like the Rothschild dynasty gained control of governments c.1780, with the patriarch saying that he did not care what government came to supposed power, as long as he controlled the money supply. About five years ago I realized that “capitalism”, “free trade”, etc. are redundant theoretical constructs. A proper way to designate current and past circumstances is “financialism”, e.g. insane derivatives. So-called “capitalism” has always been funded by debt to banksters, so all conventional economic theories are flawed, especially if one includes the faulty premise of infinite growth on our finite planet. This is one of the few times I have gone public with my more radical views/conclusions, so I was rather on tenterhooks after posting … perhaps I’ll have a shot at my conclusions about (lack of) society some time, but in general it is not easy to decompress and express a lifetime of diverse experience, studies and reflections, especially when reactions can be quite hostile, e.g. when one confronts a true believer in the official 911 conspiracy theory. As regards “free trade”: in the background as was writing was Marx’ superb polemic in the “Communist Manifesto” about the ravages of “Free Trade”, which really stirred me when I was about 19-20, though I never became a doctrinaire Marxist (or doctrinaire anything), but I remain a life-long socialist, if having shed political involvement during the early 80s, when I saw the inexorable march of neo-liberalism dominating all mainstream politics. trapped by our definitions of capitalism. made between earned income and debt and credit which is very important when considering the bigger picture. Lundgren represents a particular economic school of understanding, Raw Material Economics, based upon hard fact, economic data, that demonstrates yes what the nature of wealth is and where true capital accumulation must reside if we are to live. That starts with proper payment for the production of essential wealth. What is essential wealth? Try not eating. The farmer is that natural capitalist, in that seeds are the basic form of wealth, they grow and multiply, interest, they bought and consumed and must also be saved and invested, meaning that they are resown the following year for the next cycle. No one and no social system can get around this fact. But that is tried with various lies, theories, gimmicks. the other sectors of the society, industrial and service, such that were not able to stay in business. Because of this factory orders went down. Basically goods and services were not circulating as would be the normal case where demand is met because there is flow of capital through the economy. Getting back to the article at hand, the problem with “Free Trade” is that it was one of the things that undermined the prices that farmers were getting such that they could participate in the rest of society. The same is true with industrial workers who have been dropped to the lowest bidder, which essentially brings us to slavery. Now Steiner, when he talks about a ‘Threefold Social Order’ speaks about the oversight of rights, which is basically what the U.S. Constitution as a limited form of government seeks to do, serving the freedoms and rights of people and seeking to ensure that the general welfare is put first. The practice of that was fostered by protective tariffs. Things though were not perfect, and the fact that half of the nation was addicted to slavery did not help things. The addiction to slavery is what we have now with our modern corporate imperialism of the financial oligarchy who have been working hard for the last 60 years to destroy the family farmer who represents, natural capitalism, and at the same time destroying the worker through free trade, etc. The answer in my estimation is to return to a Parity pricing arrangement for Raw Material production, such that basic production of essential wealth is not basically extracted, but actually recognized as such, such that the labor and other expenses of production and maintanence of recources, environmental and human, are respected by the dirt of profit, which is not dirty, when we respect that link to the tending of the soil. This is where Steiner significantly understood the importance of Agriculture to which his Agricultural Course and the development of ‘Biodynamic” practices recognized activities of nature of a higher kind than reductionist monetarism of materialistic science. The dolts blowing up the world right now, they are stupid but brilliantlly evil, which is the Ahrimanic luciferic trap, do not have a clue about life and culture in the least, and this is where the Goethean approach to all human life, from Science to philospophy to art, to eductation, etc that Steiner stressed is so important, important in freeing us, to which again going back to the article was the issue of brainwashing by the media, for its sponsors, which is the case that we have had for all too long. I hadn’t come across the concept of farmers being “natural capitalists”, but it immediately struck me as true – including livestock farmers of course. I suppose I easily grasped the concept because, amongst a wide array of different occupations, I have worked on a dairy/wheat farm as a labourer around 1965, then later I worked with pigs and sheep. To pursue your “Try not eating” point a bit further … one will starve in about a month, die of thirst in about four days and suffocate in under four minutes through lack of oxygen, yet food, water and air are least valued. Thanks Gerry~ you have the intrinsic life experience to realize what is real, which is what working on a farm will create an appreciation for. The problem with economists is that they only see Supply and Demand in relationship to prices, but this does not work for the farmer. So for the war, supporting prices without cutting production, was implemented. The problem with the New Deal approach of FDR is that it still looked to supporting farm prices through cutting production hence the absurdity of dumping milk and killing cattle when people were starving in the cities. Parity was for the first time that the Constitutional call for setting the value of money was set on something real. The Parity laws were eroded by 1950, and that was the beginning of the end of the American Farmer, when a cheap food policy was put in place as part of foreign and domestic policy and control. Under Parity there was not Chicago Mercantile Exchange swindle. In Australia – under the influence of Washington/the Chicago School/neo-liberalism/economic rationalism (or whatever it may be called – and I would include “libertarianism”) – the situation I have out-lined lasted into the 1970s, but then very rapidly followed the US into the fad of deregulation and privatization, even more extremely in some cases. Marketing Boards got quickly abolished and many farmers were bankrupted (suicides were not uncommon on former family farms). Protective tariffs for manufactured products were removed and Australia – a small country in population terms – no longer has any significant manufacturing capability. All that ‘saves’ the Australian economy is being a strip-mined exporter of raw materials. Right now General Motors, Toyota and Ford are going to close all Australian operations soon. I know that Industrial, Western Civilisation will go the way of all civilisations (especially this one based on “the, car” but it is very bad that politicians and ideologues (paid by banksters) have hastened the collapse and killed millions in the process of attempting a global empire/PNAC. Has anyone here heard of UBUNTU and Michael Tellinger? It is very interesting and seems to me to be the ONLY way forward: Contributionism. No money. Or, people simply contribute. I hope you will look into it because it works – along with Permaculture. Michael Tellinger is actually implementing these idea in South Africa. It WORKS. You are aware, of course, that similar movements arose throughout the 19th and 20th Centuries? The early ones were generally called “socialist” or “communitarian”..
Later, during the 1960s-70s numerous UBUNTU-style schemes emerged which all failed, though I’ve heard that some “communes” still exist and of course the Amish seem to persist against all odds. I am not denying – far from it – a deep yearning to return to the truly communal/social existence our species had for maybe 250,000 years before the first civilizations emerged about 5,000 years ago, but there is not any easy way back, if at all. In the days of Hezekiah the “priests and scribes” destroyed the symbols of Asherah, the consort of the tribal god of the area known as “Yahweh” . They “smashed her and burnt her and ground her fine to powder and threw her in the River Hebron.” It seems to have been a very intense hatred they had for Asherah who was their version of Mother Nature. To me that fits in with what was going on in Greece at about the same time where Socrates had decided that mystical things were nonsense, basically, and that only what he decided was “logid” had any importance – in other words, Mother Nature, or the feminine aspect of Life, the Feeling Function of Mind as opposed to the Masculine Thinking Function of Mind was not important. (Soncrates was homosexual, so that fits.) Anyway, ever since, the Thinking – or calculating function of Mind has been becomingmore and more dominant so that by now it is all very unbalanced indeed. Even woman are now encouraged and even coerced into being masculinised. The “femanists” have been completely duped into becomingmore like men. Mother Nature will likely have to take a hand in rebalancing things, because I donot see much hope of us waking up enough to manage to rebalance things without some enormous catastrophe – unless we get back to Nature and Balance – inother words The Truth. 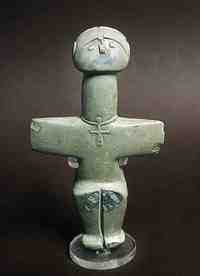 I have beenwondering about Rudolph STeiner and wantin to know more about him. Did Goering or whoever, really say that they wanted the People to fear them rather than love the Government? I have been learning a lot about Germany and what we have been told is not necessarily true. There isa wonderful website http://www.barnesreview.org where one may find some fascinatinginformation and revisions of History. It seems that we have not been told much of the truth about WW2. I also recommend an amazing book, “Hellstorm.” by Thomas Goodrich. What we did to Germany is something we need to know about. Well that us a very mixed bag of opinions and almost a “word salad”.. I do not see how anyone could satisfy your mix of assertions and rhetorical questions. I think that you may have come to the wrong place. Maybe you are too young to have actually read Plato, because you know nothing about Socrates, nor any other philosopher – all male that I know of – who has devoted his life to understanding what you glibly attribute only to females, i.e. “feelings”.. I know! I should take a much longer way round and explain how I see or understand it. Hardly anyone knows what I am talking about, though it seems to make perfect sense to me that the World is presently dominated by Thinking and that even women are masculinised. Jung made it quite clear when talking about the FUNCTIONS ofthe Mind. Earth, Fire Water and Air. 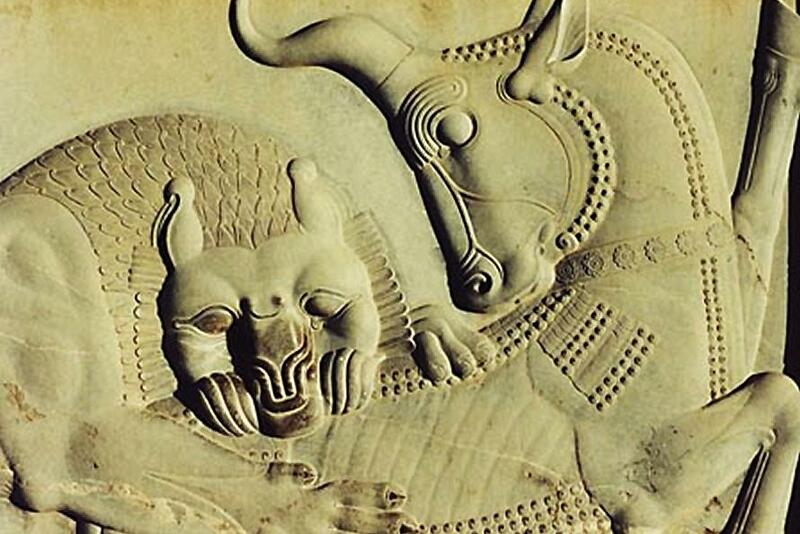 Anyway, there is another book I found fascinating by David Astle called The Babylonian Woe. Bruce mentioned Babylon. It seems that that is where the rot set in caused by some travelling traders called Habiru who may have originated in the Indus Valley, who used to trek from city state to city state in ancient Sumeria and Syria and Egypt and to all the various societies of the time. They do not seem to have quite succeeded in corruptin Egypt altogether, but they did corrupt Babylon and other places through usury. It seems that they also invented slavery. The reporting in thepress in Britian in the last few days and weeks when children have been used for sexual puarposes by people with enormous power – how does one have any hope for the World while this goes on – and on. Tony Blair is just one of these evil and sick people in power – it seems they are ALL evilly and strangely sick. The y even kill children for pleasure – and they RULE theWorld. OUR World. This seems quite relevant. Steiner seems to have been very wise.